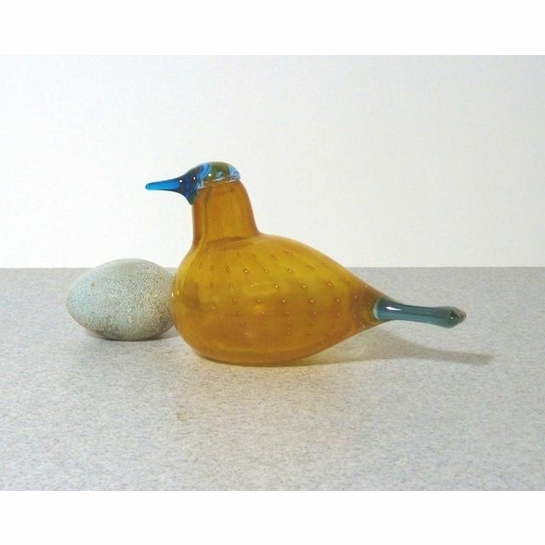 More about iittala Toikka Golden Harvest Bird Called the Golden Harvest or Elokulta in Finnish, this bird was only available in 2002 making it a limited edition perfect for collectors. In some circles, it is even called the "30 Year Bird." 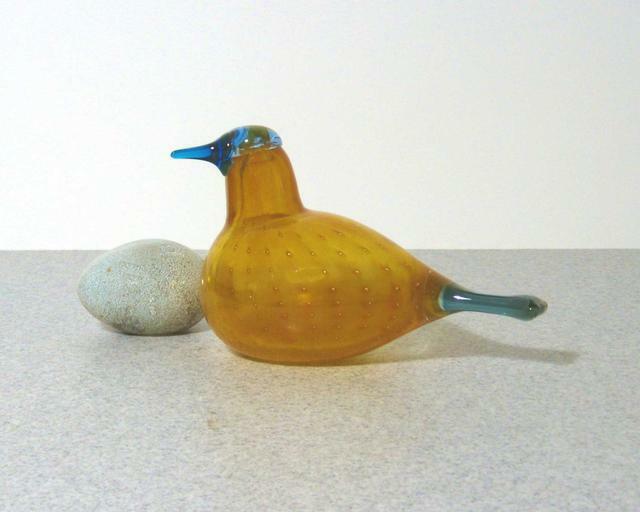 It has a golden body with a bright blue head and tail. The iittala glassblowers used a special technique called "controlled bubbles" to give it the bubbled texture beneath the smooth glass. The bird was also re-released in 2003 for Kotiliesi, a Finnish magazine.